Entrepreneurs are typically excited and terrified about renting office space. You hope to see your business take off in its new space; however, signing a commercial lease that may be as long as 60 pages can be daunting. Hopefully you are reading this before you have started looking for a new home for your company. It doesn’t matter whether you are about to sign your first lease, or you are expanding your offices, or opening new locations for your business. Your commitment to a commercial lease on property for your business will be one of the most important contracts you sign. Many entrepreneurs agonize over hiring people, but they sign a commercial lease without even reviewing or negotiating all the lease terms. The fact is that it is often easier to terminate people who work for you than it is to terminate a multi-year commercial lease, which could cost annually twice what you’re paying your secretary. 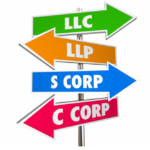 Some Elements Of A Commercial Lease to get a very brief idea of the complexity of commercial leases. Ten Important Factors In A Commercial Lease–The Short Story for a short overview of just ten of the terms you will find in a commercial lease. Can’t You Just Use A Commercial Real Estate Agent? for reasons why you should consider using a law firm to review and negotiate that lease offered by your future landlord. We will negotiate the lease proposed by a landlord on property you already found. We will search for suitable property first, then negotiate the lease proposed by that landlord. Who Pays For Your Agent To Negotiate A Commercial Lease? In the old model of finding and renting commercial space, entrepreneurs merely seek the help of a commercial real estate agent. One reason for using an agent like that is because agents tell you the landlord pays them, not you. No matter what you may think or have been told, YOU always pay for the someone to find space and negotiate a commercial lease. If you hire a commercial real estate agent to negotiate for you, that agent will likely not ask you to pay him or her, the agent usually is paid by the landlord. The terms of that payment are generally unknown to you, but it is usually a percentage of the total lease value. Also, because the agent does not get paid unless you and the landlord sign the lease, the agent’s loyalties are conflicted. It might be hard for the agent to alert you to provisions in the lease that might be bad for you if the agent thinks that might force you to walk away from the deal and all the agent’s work would be lost. Legal ethics rules would never permit an attorney to enter into such a conflicted fee arrangement. Just as important, because of that payout to your agent by the landlord, the landlord will then have less room, and frankly less inclination, to grant you rent abatement or other concessions as part of the lease terms. Even if you later hire a lawyer to perform a legal review the lease, the lawyer may find it difficult to negotiate terms that have already been discussed between your agent and the landlord’s representative. Who Pays For Your Lawyer To Negotiate A Commercial Lease? You KNOW how much the lease negotiations are costing you. We are independent and unemotional over the lease provisions, so our advice to you can be free from conflicts of interest. We know contract law as well as what’s common among landlord provisions in commercial leases, and we are legally allowed to render legal opinions, whereas a real estate agent is not allowed to practice law without a license. How Early Should You Involve Argent Place Law When Looking For Commercial Space? Because of these benefits listed above, we have learned that the earlier we get involved in the process of securing commercial space, the better deal we can often get for the tenant. So Argent Place Law offers you a “One-Stop-Shop” alternative: Use the Commercial Legal Team at Argent Place Law to find and negotiate your next commercial space. That’s right! One of our attorneys is also a license real estate agent, and we have acquired the tools we need to provide you with the services of both the real estate agent and the attorney for legal review of the lease. And there is more benefit to hiring Argent Place Law early in the process of finding commercial space: You will be establishing a relationship with the law firm that is dedicated to helping entrepreneurs succeed. We start by learning what you consider to be the most important aspects of the new space you hope to occupy. We get to know you, your business, and what makes you tick. We find spaces that fit your parameters, present them to you, show them to you, and help you decide which ones to go after (we like to pursue more than one target at a time if possible, for reasons of negotiating flexibility). Then we conduct a comprehensive review of the landlord’s proposed lease terms for each space. If we have more than one target space, you will get to see any differences among landlords in real time. During our legal review, we’re looking for a fair deal for you, but we know from experience that the landlord is most likely starting from a position of maximum benefit for himself, without regard to fairness at all. While everything may be negotiable, they know that they will start with what is best for them…why give away anything before even starting the negotiations? After we review your lease, we confer with you to determine what terms you absolutely require and establish a plan of negotiation. We will fight to protect what you want and deserve in your lease, and to minimize your risks upon signing the lease, so you can focus on running your business. If all goes well, we will represent you at closing on the deal to give you peace of mind that someone is there looking out only for your interests, without any conflicting agenda. For more information about a commercial lease attorney from Argent Place Law, and a price quote, contact the firm at 703-539-2518.